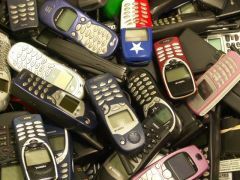 As the recession deepens, more Americans are cutting back on their cell phone spending and many more are planning to if the economic downturn continues as expected for another six months, according to a survey for the New Millenium Research Council. As I reported in a WalletPop story in February, more people are changing to prepaid cell phone plans as a way to save money from a contract plan. The prepaid plans, such as offered by Boost Mobile, a division of Sprint, sell unlimited calling, text, Web use and walkie-talkie use for $50 a month. There are also plans that charge by the minute, usually around 10 cents for a call or 5 cents to text, or $1 a day with unlimited calls on weekends. Without roaming charges and other fees to pay, along with no annual contract to sign, prepaid plans are getting a boost in the down economy, said Jeff Auman, vice president of sales and distribution for Boost Mobile. "We are a great solution to people who are looking to tighten their belt in wireless," Auman said in an interview where I was using a landline phone, not my prepaid Net10 phone. "I think the economy has a lot do with it," he said of the popularity of prepaid plans, but added that they also transcend the marketplace and would appeal to consumers even if the economy was good. So what should you look for in a prepaid cell phone plan that is "perfect for the times right now," as Auman put it? One place to start, according to a SmartMoney story, is by comparing plan providers. Two sites to help compare are BillShrink.com and LetsTalk.com. Rates can vary by your city and how many minutes you use. Also consider your coverage area. T-Mobile has great coverage in the East but is spotty on the West Coast. Boost Mobile's is great nationwide because it runs on Sprint's coverage, Auman said. Determine how many minutes you need with a prepaid plan and figure out if it's cheaper to buy by the minute or to get unlimited minutes. If you don't call much, paying by the minute should be cheaper. And lastly, don't forget the extra costs, such as a handset. In contract or post-pay plans, the phone is either free or very cheap. Boost Mobile, for example, requires users to buy their phones, which cost from $30 to $300. If you're looking to stream live television over your phone, then a prepaid cell phone plan probably isn't for you. But in a recession where people are cutting back many expenses, cell phone usage, somehow, isn't one they cut back in. Except for maybe streaming TV.